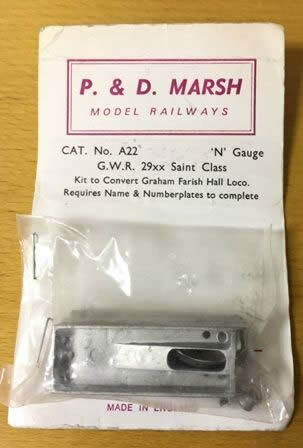 P&D Marsh: N Gauge: GWR 29xx Saint Class Kit. This kit contains the components to convert Graham Farish Hall Locomotive (Not included). This pack contains the castings required but does not contain the name or numberplates.